West Indies A first innings 217 (Kraigg Brathwaite 66, Veerasammy Permaul 36, Shami Ahmed 4-43) second innings 6-0, leads India A first innings 202 (Cheteshwar Pujara 67, Rahul Sharma 30, Permaul 5-58) by 21runs. West Indies A scored 217 runs while consuming 90 overs in their first innings and India A responded with 202 before they were bowled out in 79.2 overs. The second unofficial Test of the three match series is being played at Arnos Vale Ground, Kingstown, St Vincent from June 9, 2012 and is scheduled to finish on June 12. Earlier, the captain of West Indies A, Veerasammy Permaul, won the toss and elected to bat first on a good looking wicket but lost two early wickets for 33 runs as Shami Ahmed struck twice for India A. Nikrumah Bonner joined with Kraigg Brathwaite who was holding the other end with determination. 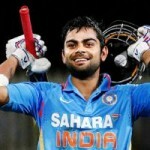 The innings was stabilised by the two and they enhanced the score to 71 when the first was gone for 25 runs. Jonathan Carter provided some resistance by contributing 27 runs for the fourth wicket and went bak at his personal feat of 19 runs. 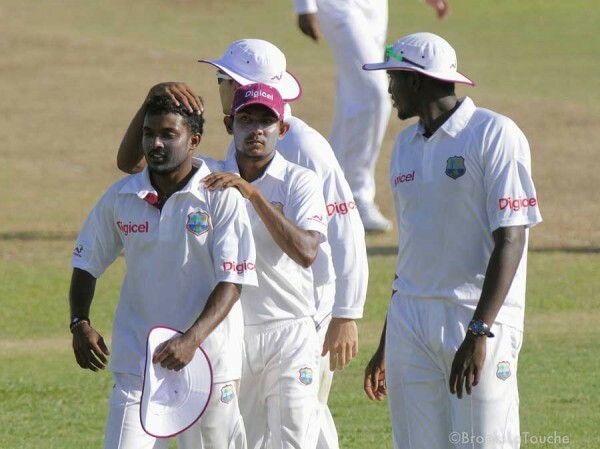 The Indian A bowlers picked up wickets at regular interval as Brathwaite secured his end and the seventh wicket of the Windies A was lost on 164 runs when Permaul took guards in the centre. He played a captain’s knock, was severe on all rival bowlers and smashed 36 quick fired runs off 38 balls with 1 six and 5 fours. The skipper associated for 47 runs with Brathwaite as the 8th wicket was lost at 211 runs and two runs later Kraigg Brathwaite went back to the pavilion after scoring 66 runs off 297 deliveries with 7 fours. The first innings of West Indies A was folded back for 217 runs in exact 90 overs as most of their middle order batsmen were unable to impress with the bat. Shami Ahmed was the chief wicket taker with four, Ashok Dinda and Rohit Sharma held two each whereas Akshay Darekar and Rahul Sharma claimed one wicket each. India A had a dismal start of their first innings by losing their openers for 12 mere runs when Ajinkya Rahane and their Captain, Cheteshwar Pujara demonstrated absorbing cricket. Pujara was the most aggressive of the two and utilized every scoring opportunity as Rahane retained his end. The duo added 74 runs for the third wicket as the latter was caught by Delorn Johnson off Veerasammy Permaul for 18. Rohit Sharama became the next victim of Permaul for just one runs as Manoj Tiwari joined in with Pujara who completed another fifty of the series. The total was accumulated to 115 runs when Pujara was caught behind by the wicketkeeper Devon Thomas off Permaul for 67 off 170 balls with 1 six and 5 fours. The middle and lower order batsmen took a start but were unable to convert twenties and thirties into big scores. Rahul Sharma was the main scorer with 30, Tiwary managed 23 as Wriddhiman Saha and the all rounder Shami Ahmed chipped in with 20 runs each. India A was restricted to 202 runs in 79.2 over and conceded a first innings lead of 15 runs. Veerasammy Permaul was the star performer with the ball and grabbed five wickets, Delorn Johnson got two whereas Jason Holder, Jonathan Carter and Devendra Bishoo shared one wicket each. West Indies A scored six runs in their second innings and they have an overall lead of 21 runs with all their second innings wickets in hand. The third day’s play will be important for both teams and will set the direction towards the result of the match.